After nearly a half century, Earth Day—the world’s largest secular holiday—is celebrated in 193 countries, including Canada and the USA. In Earth Day news: Horgan and Trump issue customary statements, while: Canada celebrates its environmental record notwithstanding its wilderness gaps; Brazil’s unique deforestation challenge is highlighted; and eight stories of sustainable architecture. In Forestry/Climate news: pro and anti-logging sentiment at the Caribou hearings; ENGO outcry over logging plans near Juan de Fuca park; the Canadian gov’t to help tackle climate change in BC; U of Nevada researchers seek to improve conifer resilience; and fire season starts slow in Ontario. Finally, wood versus weed, Boise Cascade sues to protect its tree-shaped logo. The Notre Dame fire is a “wake-up call” for the guardians of heritage buildings throughout the world; while drone footage shows the devastation up close; and a recent 3D laser scan may facilitate the rebuild. In related news: U of Toronto’s timber tower plan is updated. 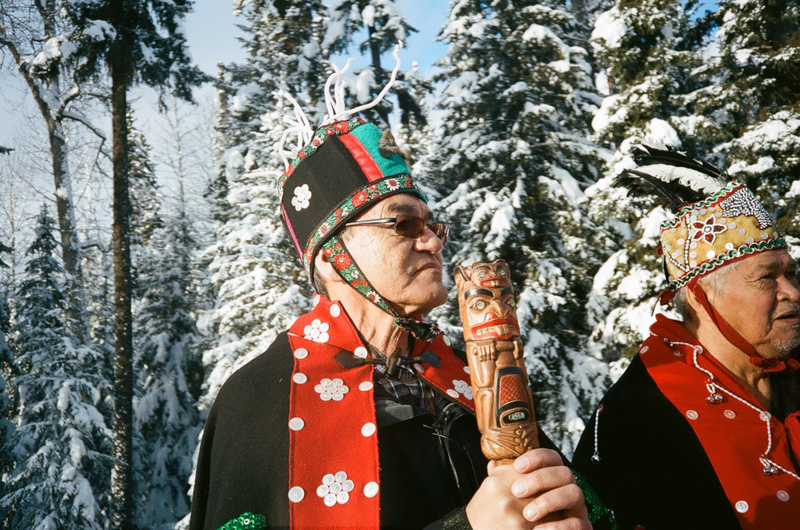 In Forestry/Climate news: Vancouver Island old-growth films premier in Toronto; the ‘racist tone’ in the caribou talks; the future of bats on Bat Appreciation Day; and Canada’s forests absorb more than six times what the country emits in CO2. Elsewhere: Paper Excellence curtails its Powell River mill for two weeks; and Ethan Allen lays off 300 at furniture plant in North Carolina. Finally, FPAC’s gender diversity panel comes with passion and good advice! Seattle, USA. Lumber prices in North America continued their decline from the 3Q/18 with another quarter of substantial reductions. Average lumber prices for southern yellow pine were down 12% quarter-over-quarter in the 3Q/18, which was then followed by reduction of 17% in the 4Q/18. With practically no change in log or chip prices, gross margins, and the EBIDTAs, have plunged in the Southern states, after having reach a 13- year high in the 2Q/18, as reported in the latest issue of the WRQ. However, the region’s sawmill margins were still well above their ten-year average margin. With lumber prices continuing to decline faster than log prices in early 2019, profit margins have continued to slide in the 1Q/19. VANCOUVER – The forestry sector is an important part of Western Canada’s economy and creates jobs, business, and export opportunities, especially in rural and Indigenous communities. The Honourable Joyce Murray… on behalf of the Honourable Navdeep Bains, Minister of Innovation, Science and Economic Development and Minister responsible for Western Economic Diversification Canada, announced a combined total of more than $4 million towards two projects that will stimulate economic growth and is expected to create more than 300 jobs through innovations in the forestry sector. The University of British Columbia will receive $2.38 million towards the research and testing of clean technologies that generate renewable natural gas from forest residues. …FPInnovations’ Indigenous Forest Technical Support Program will receive $1.65 million to improve the competitiveness of Indigenous businesses in the forestry sector. Plans for a small log mill to be built on the Catalyst lands have changed. The San Group says noise concerns have led them to put their re-manufacturing facility on the Stamp Avenue site, and build the small log sawmill beside their Coulson Mill. AJ Cheema, Vice-President of Corporate Development for the San Group said there were neighbourhood concerns about noise and dust in the centre of the city, and the change of plans made sense. Cranes were offloading some of the main components of the small log mill at the Coulson site yesterday, and equipment will be coming from around the world to process 2,000 cubic metres a day of 3 to 14 inch logs, and is expected to start operations in 3 months. Despite improvements made by Domtar to reduce odour, complaints are on the rise. A company representative was at city council on Tuesday, presenting its annual air quality report. In 2018, the mill received 45 odour complaints, the majority of which occurred during warmer months when winds blow from the mill to the North Shore and downtown. The air quality report notes the spreading of biosolids on nearby farmland “may have resulted in some complaints being attributed to Domtar incorrectly during August and early September.” Domtar’s environmental manager, Kirstin Dangelmaier, said the company… spent $3.5 million last year on environmental improvements at the Mission Flats mill. Installation of a $1-million electro-static precipitator — which cleans particulate emissions — last spring resulted in a 20 per cent particulate reduction. After reviewing the latest government report (APTRO43 2019) on the apportionment of timber rights, I calculated that eight corporations controlled approximately 32 million cubic meters (50 per cent) of the province’s 64 million Annual Allowable Cut (AAC). The report shows the following companies with their respective AACs. Canadian Forest Products Ltd. 10.8 million; West Fraser Mills Ltd. 5.8 million; Western Forest Products Inc. 5.8 million; Tolko Industries Ltd. 3.4 million; Interfor Corporation 3.3 million; Louisiana-Pacific Canada Ltd. 1.6 million; Conifex Mackenzie Forest Products Inc. 0.9 million and Mackenzie Fibre Corporation 0.8 million, for a total of 32.4 million cubic meters. On the other end of the scale are woodlot licences and community forests, which combined have around three per cent of the provincial AAC (information not taken from the above report). The remaining 47 per cent of the volume is distributed among the 390-plus small- to medium-sized licensees. When is a tree more than a tree? When it’s drawn in a circle and used as the logo for a marijuana company. Then, it becomes the center of a federal court case on trademark infringement filed by an Idaho lumber company against a Massachusetts marijuana dispensary. Boise Cascade Company on Wednesday sued New England Treatment Access in U.S. District Court in Boston, alleging that NETA is infringing on the lumber company’s trademark by using a similar logo. …NETA’s use of the logo “is likely to cause confusion, to cause mistake, and/or to deceive customers and potential customers” into seeing some affiliation between NETA and Boise Cascade, the lawsuit writes. …Raefer Wallis [architect] began to scout for the busiest place he could find. On Jan. 3, 2002, he landed in Shanghai, a city in the grip of the construction burst that fashioned the concrete-and-glass underpinnings of China’s emergence as a rising superpower, with its cities erecting some of the planet’s most audacious buildings. But Mr. Wallis made his name with a very different kind of design, bringing a carbon-neutral hotel to Asia, a Shanghai boutique property named URBN that was marketed as a first of its kind and built with a raw wood aesthetic that avoided manufactured materials with off-gassing glues. …His company, GIGA, is a “humble, brilliant organization,” whose modest size belies global influence, said Lisa Bate, the global sustainability lead with B+H Architects who chairs the World Green Building Council. “Typical Canadians – punching way above their weight.” …“Buildings are really just banks, holding valuable materials for several decades,” Wallis said. Here’s what Canadian architects need to know… This is the Future (and so is this). One of the most promising technologies towards reducing the carbon footprint of buildings is mass timber—wood sequesters carbon, and using it in buildings locks it from the atmosphere, and frees land for planting new trees that repeat the cycle. 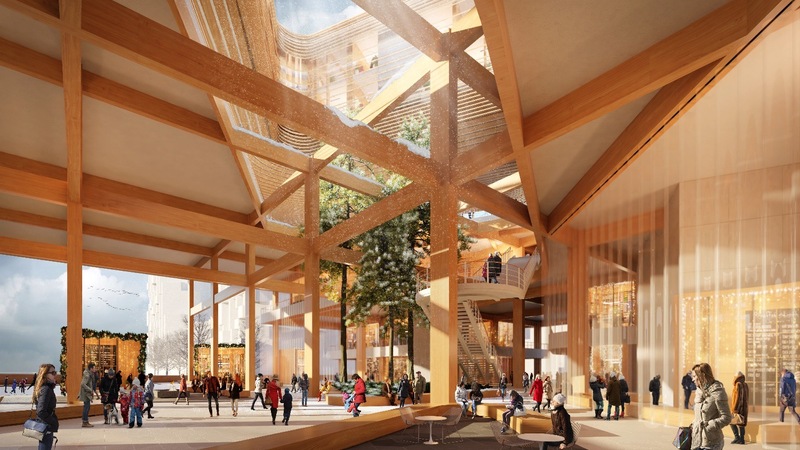 Several high-profile tall timber buildings are due to land in Toronto, including a proposed set of a dozen highrises in the Sidewalk Toronto proposal, and George Brown’s Arbour. …Passive House from the frontlines. Jonathan Kearns of Kearns Mancini Architects offers a first-person perspective on what it takes to implement Passive House design in a trio of projects. Passive-Aggressive Haus. And here’s what Passive House design can look like from the client’s perspective. Using too much paper isn’t only bad for our trees, it’s bad for the landfills, the environment, and our health. One of the most obvious consequences of felling millions of trees every year is disappearing wildlife. Many ecosystems across the world depend on their forests and the biodiversity therein. …Fewer trees mean poorer air quality… Deforestation contributes to global warming… Americans use 68 million trees per year… Americans use more paper towels than anyone else in the world… Once-thriving forests can become deserts… It takes less time to cut a tree than to grow one… Paper production contributes to water pollution… Forests give the world more than just paper… Even recycling paper has its negatives… Paper is a large industrial polluter… Paper production uses a large portion of the world’s wood. 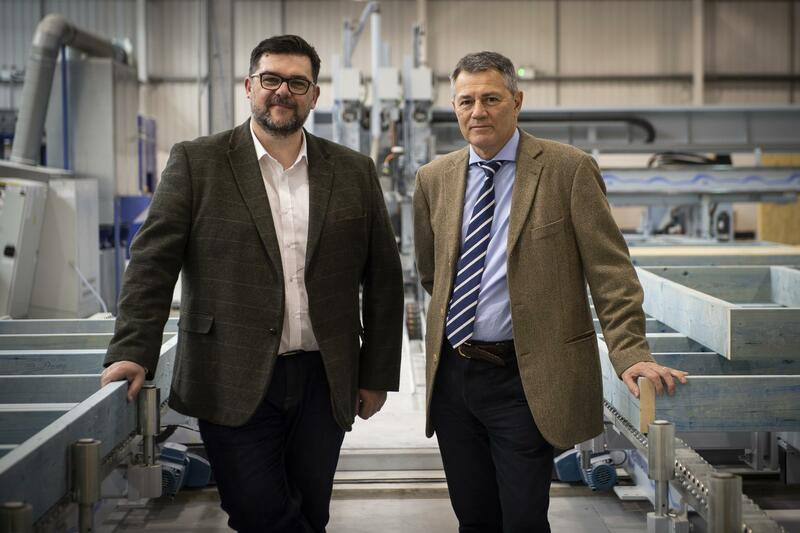 ONE of Scotland’s industry-led innovation centres has formed a new partnership to help revolutionise the lumber sector. Construction Scotland Innovation Centre (CSIC) will work with the Structural Timber Association (STA) to help its businesses across the UK innovate and grow. CSIC links businesses, universities and the public sector to support increased innovation and productivity. The STA is a UK-wide trade body representing more than 600 timber businesses, from manufacturers and suppliers to designers and installers. It was established to help influence legislation and regulation to support the overall objectives of the structural timber sector. The partnership will build on the existing relationship between the two organisations, formed through key projects that CSIC has already supported, with both the STA and its member companies CCG, Stewart Milne Group and Scotframe. Canada’s national conversation about the environment often revolves around questions of how much. How much land should be set aside for iconic species such as the caribou or the grizzly bear? …Such questions underpin a massive effort under way in Ottawa as the federal government races to fulfill Canada’s commitments under the United Nations Convention on Biodiversity. …To help meet the 17-per-cent target, the Trudeau government last year allocated $1.3-billion for conservation efforts… But …concerns linger that … some of the most critical habitat in the country will be overlooked. “…we need to dramatically change how we prioritize areas for protection,” …WWF-Canada. …the organization has conducted a national assessment… Released on Monday to mark Earth Day, the analysis is the latest to highlight a striking mismatch between the places that Canada protects and the places where protection is needed most. The new allowable annual cut for Canfor’s Tree Farm Licence 14 (TFL 14) in the East Kootenays will remain at 180,000 cubic metres, announced Diane Nicholls, chief forester. “After consulting with First Nations and members of the public, and carefully reviewing all of the available information on timber and non-timber resources in Tree Farm Licence 14, I am confident my decision supports the sustainability of the timber supply,” said Nicholls. The chief forester’s determination takes into account winter range for ungulates, including mountain caribou, and habitat requirements for other wildlife under the resource management objectives of the Kootenay Boundary Higher Level Plan Order. TFL 14 is located northwest of Invermere. It covers about 152,000 hectares, with approximately 46,064 hectares available for timber harvesting. Summer wildfires are likely to remain a part of life in B.C.’s interior, but a Salmon Arm inventor recently debuted an innovative way for property owners to protect their homes and other buildings. Bryan Coffey has spent years refining his design for a special sprinkler he calls the Water Winger. The result is a powerful sprinkler fitted with wheels and spring-loaded stainless-steel arms which allow it to be pulled over the eaves of any style of a roof with ropes and then sit snugly on the top. …The finished device can be dragged onto the very peak of a roof using ropes, without any potentially-dangerous ladder climbing necessary; it’s spring-loaded arms provide a sturdy base for the heavy-duty sprinkler. The water winger is designed to be pulled onto roofs by throwing a weighted rubber ball about the size of a tennis ball attached to a very strong arborists’ line over the roof. Premier John Horgan and George Heyman, Minister of Environment and Climate Change Strategy, have issued the following statement as British Columbians join the world in celebrating Earth Day: “On Earth Day, we reaffirm our commitment to rise to the challenge of climate change and protect our shared environment now, and for future generations. “We are incredibly lucky to live in this extraordinary province, with beautiful mountains, pristine wilderness, rivers and lakes, and wild coastline. We have a responsibility to make sure all we enjoy today is there for our children and grandchildren. Our government is taking that responsibility seriously. “The challenges of climate change are global, but the impact is all too clear here in B.C. Unprecedented wildfires and floods have hurt people, communities and businesses throughout our province. Three years ago, Wet’suwet’en hereditary Chief Na’Moks stood in full regalia before the United Nations in New York City. …It was May 2016, the day after Carolyn Bennett, minister of Crown-Indigenous Relations, announced that Canada would remove its objector status to the UN Declaration on the Rights of Indigenous Peoples (UNDRIP). …Today, Na’Moks addresses the UN Permanent Forum on Indigenous Issues in New York, his second update to the UN since that first visit. …“Nothing’s really changed from the time that they accepted it,” he says about Canada’s promise to implement UNDRIP. “They’ve really not done anything.” …Na’Moks emphasis that his message is not one of financial recompense: It’s about maintaining the clean water that currently flows through Wet’suwet’en territory. It’s about protecting roadless swaths of old-growth forest. The majority of a crowd of 250 at Nelson’s Prestige Resort on Tuesday evening was decidedly pro-caribou and not happy with the logging industry. Snowmobiles and helicopter tourism were also not popular. Ecosystem health, however, won the evening. The Nelson meeting was one stop on a tour of the province undertaken by the BC Caribou Recovery Program to ask for feedback on the new joint caribou recovery proposal, made between the province and federal government. …At the panel’s Revelstoke meeting on Monday, attended by an estimated 800 people, the plan took heavy criticism from people worried about the health of the logging industry and possible restrictions to backcountry access for snowmobilers and other recreationists. But in Nelson, none of the dozens of people lined up at the mic spoke for those concerns. Dan Thompson grabs a handful of pine needles, a few twigs, a clump of dry grass and starts a fire. It doesn’t take much. 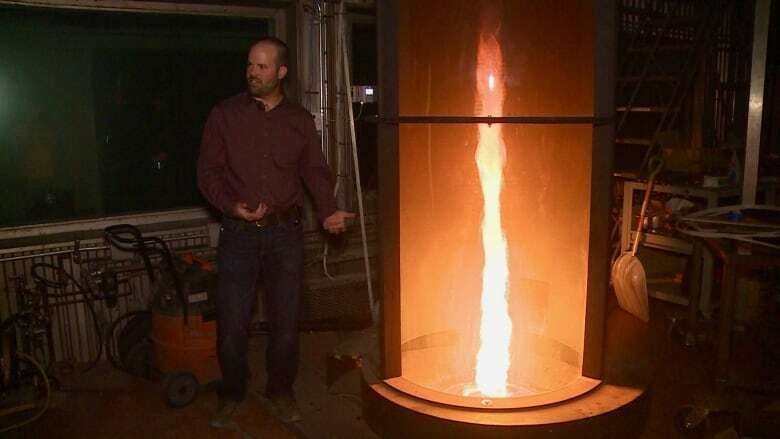 “In this lab, what we’re able to do is recreate some parts of what a natural forest fire looks like,” says Thompson, a researcher in the burn lab at the Canadian Forest Service headquarters in Edmonton. He notes how quickly the flame takes off as sensors and an infrared camera capture data on the amount of smoke produced. Thompson, dressed in a blue fireproof lab coat, predicts smoke will once again be top of mind this summer. “Everybody in Edmonton breathes in that smoke that we had the last two years that came from British Columbia. Many of us had ruined vacations or threatened family and vacation homes there.” Thompson believes the work he and his colleagues are doing will help fine tune air-quality forecasting this season. A letter from forests minister Doug Donaldson (“Province moves ahead with Clack Creek licence auction,” April 5) indicating that the Clack Creek Forest will be harvested and that Reed Road forest will remain off the auction list until a land use plan is developed, has proven a head scratcher for at least one director. “I am in a state of confusion,” Elphinstone director Donna McMahon told the April 11 planning committee where the letter was part of the agenda package. The letter is the latest in a chain of correspondence between the SCRD and the province as the former works to save both forests from logging. A land use planning process initiated between shíshálh Nation and the province is underway, which is delaying a final decision on Reed Road Forest, also known as DL1313. McMahon said the “legal situation” of the land on which Reed Road forest sits is still not clear. Plans to log old-growth forests near Port Renfrew have conservationists accusing the B.C. Ministry of Forests of endangering tourism in the area. The Victoria-based Ancient Forest Alliance says government-run B.C. Timber Sales is preparing to auction 109 hectares of forest in seven cutblocks. Two of those planned cutblocks will see trees falling within 37 metres and 50 metres of the boundary of Juan de Fuca Provincial Park, known as a gentler, more accessible version of the West Coast Trail. …T.J. Watt, campaigner with the Ancient Forest Alliance. “We are calling on B.C. 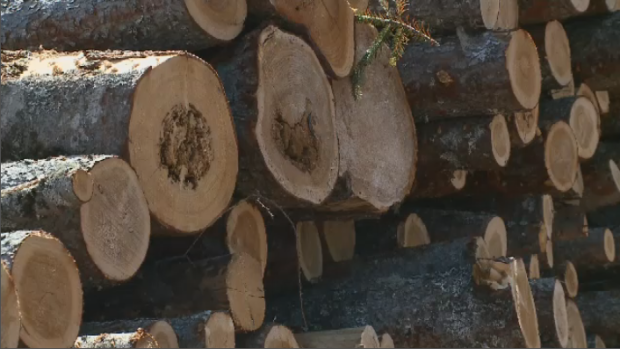 Timber Sales to cancel these auctions.” A spokeswoman for the B.C. Forests Ministry… said when cutblocks are surveyed and positioned, considerations are always made for the ecology of the site and the esthetics of nearby views. And logging is not occurring in the park. Plans to auction off 109 hectares of old-growth forest adjacent to the Juan de Fuca Provincial Park have outraged conservationists and tourism operators. The seven planned cutblocks, two of which come to within 37 metres of the Juan de Fuca Provincial Park boundary near Port Renfrew, would see an estimated 55,346 cubic metres of old-growth – the equivalent of over 1,300 loaded logging trucks – leave the region known as the Tall Tree Capital of Canada. Opponents charge the B.C. government and Forests Minister Doug Donaldson have demonstrated a lack of political will to preserve the endangered forests. “The provincial government has a blind spot that they are not willing to address,” said Andrea Inness, a representative of the Ancient Forest Alliance. …A spokesman for the Forest Ministry… reiterated the government position that 55 per cent of old growth forests are protected. Quesnel and area residents spilled out of the main hall at the Quesnel and District Seniors’ Centre and into the front foyer last Thursday night to hear about and share their feedback on two draft agreements meant to protect the southern mountain caribou. …The meeting, one of four held in the area last week, was meant to present information about and gather feedback on two draft agreements that have been developed under Section 11 of the federal Species at Risk Act. …At the Quesnel session, the government staff told the crowd they thought people in this area would be more interested in hearing about the Section 11 agreement than the partnership agreement, but after many speakers argued that what happens north of here affects everyone else, they shared more information about the draft partnership agreement in the second half of the evening. 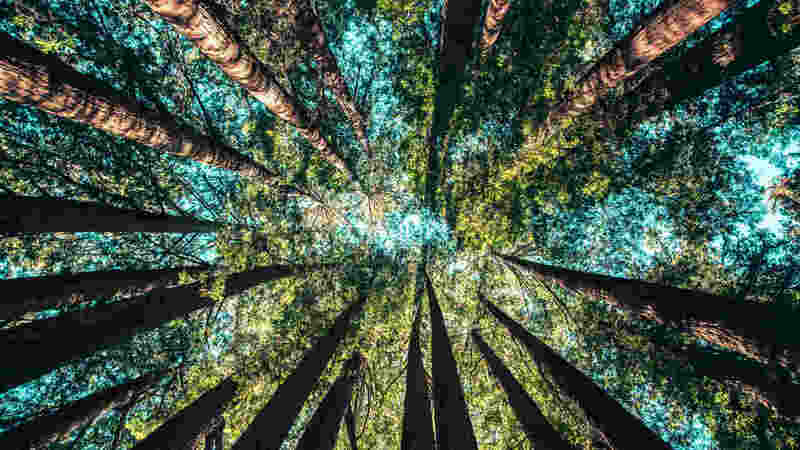 The Ministry of Environment released the State of the Environment report for 2019 on Wednesday with a focus on the province’s forests. The report assesses 24 indicators of forest health, most of which are new or revised from the last report in 2009. Assistant Deputy Minister for Resource Management and Compliance Division for the Ministry of Environment, Kevin Murphy, explained the report at the AGM for the Association of Saskatchewan Forestry Professionals (ASFP). Murphy gave an overall positive response, saying it’s important for the government and the public to continue supporting the forestry industry. “Our forests are doing well, they are being managed sustainably, and the forestry industry is an integral part of that.” Murphy told CTV News. A new community forest is on the verge of becoming a reality after the Squamish Nation and the District of Squamish signed an agreement. The agreement formalizes a governance structure for 10,000 hectares of forest land. The District says having a Squamish community forest offers benefits such as long-term economic development and local employment; local level decision-making and planning over timber harvesting in key areas such as cultural and spiritual sites, watersheds, viewscapes and recreational areas; education and research opportunities including increased community awareness of forest management. As per the agreement, the Squamish Community Forest Corporation will be responsible for overseeing the forest operations. On the company’s board of directors, the Nation will be represented by hereditary Chief Ian Campbell, Wilson Williams and Richard Baker. The District will be represented by Mayor Karen Elliott and councillors Armand Hurford and Jenna Stoner. KENORA, ONTARIO — Forest fire season officially began April 1, but the long winter and slow melt subdued the season’s start. The first fire of the season in the northwest was in the Kenora region — a small, 0.6 hectare grass fire off of Rush Bay Road that municipal firefighters put out April 17. The fire danger for the northwest region is currently moderate, according to the Ministry of Natural Resources and Forestry. As of April 18, only three fires have cropped up province-wide, said Chris Marchand, a Dryden-based fire information officer with Aviation, Forest Fire and Emergency Services. That’s few compared to the 10-year average, which would normally see approximately 28 fires burn by late April. President Trump issued a message commemorating Earth Day, pledging that his administration will be “effective stewards of our environment while encouraging opportunities for American workers and their families.” …Trump boasted in the message that the country is experiencing “historic economic and job growth” while its air and water quality “ranks among the highest in the world.” He touted his administration’s conservation efforts and initiatives to improve water infrastructure. “Environmental protection and economic prosperity go hand in hand,” Trump added. …While Trump has regularly touted his administration’s efforts to ensure clean air and drinking water, the president has overseen the rollback of several Obama-era environmental regulations. Kathryn Phillips, director of Sierra Club California, says she hasn’t been able to carefully study the Highway 17 Fuel Reduction Project, a $2-plus million undertaking that will clear dead trees, underbrush and other flammable materials from a wide swath of roadside between Lexington Reservoir and Summit Road this summer. …But she is much less sanguine about the 34 similar efforts initiated on March 22 when Gov. Gavin Newsom declared a State of Emergency, citing wildfire threats. And she has serious reservations about a related effort—a massive five-year, $1 billion campaign aimed at combatting wildfire by restoring California’s forests to ecological health. The effort is being undertaken under the aegis of a new entity—the California Forest Management Task Force. …“As rule, Sierra Club doesn’t believe blanket exemptions from environmental review are appropriate,” Phillips says. When the Governor’s Wildfire Response Council meets in Salem Tuesday, we anticipate talk about public safety and “thinning the forests in order to save them.” What we might not hear about are the desires of some interests to stir up a natural fear of wildfire in order to allow timber companies to aggressively log our remaining wild forests and to evade our environmental laws. That’s what’s happening along the Wild and Scenic Lostine River in northeast Oregon. …Under the guise of “public safety” and reducing wildfire risk, the Forest Service plans to advertise a major timber sale this spring within this wild sliver of unprotected forest just outside the wilderness boundary. This is no light thinning, but the targeting of large trees for a total of 4 million board feet, enough to fill log trucks back to back for 11 miles. Arizona’s Four Forest Restoration Initiative, or 4FRI, is by far the largest effort of its kind in the nation. But it took decades for the various interest groups to come together in support of the project which had early support from late Sen. John McCain and Flake. It all began with a devastating wildfire, and an odd-couple pairing. For nearly 20 years, environmentalist and Grand Canyon Trust director Ethan Aumack has worked to restore Arizona’s massive Ponderosa Pine forest… “I would represent those who didn’t have a voice – whether that be Mexican spotted owl or other wildlife species,” he said. “I’m a registered independent but I’m about as left-leaning as they come on many issues.” David Tenney, on the other hand, says he grew up in a “very conservative household.” Tenney’s family has owned sawmills for more than a century and then came the “Timber Wars” of the 1990s. Tropical forests globally are being lost at a rate of 61,000 square miles a year. And despite conservation efforts, the global rate of loss is accelerating. In 2016 it reached a 15-year high, with 114,000 square miles cleared. At the same time, many countries are pledging to restore large swaths of forests. The Bonn Challenge, a global initiative launched in 2011, calls for national commitments to restore 580,000 square miles of the world’s deforested and degraded land by 2020. In 2014 the New York Declaration on Forests increased this goal to 1.35 million square miles, an area about twice the size of Alaska, by 2030. Ecological restoration is a process of helping damaged ecosystems recover. It produces many benefits for both wildlife and people – for example, better habitat, erosion control, cleaner drinking water, and jobs. 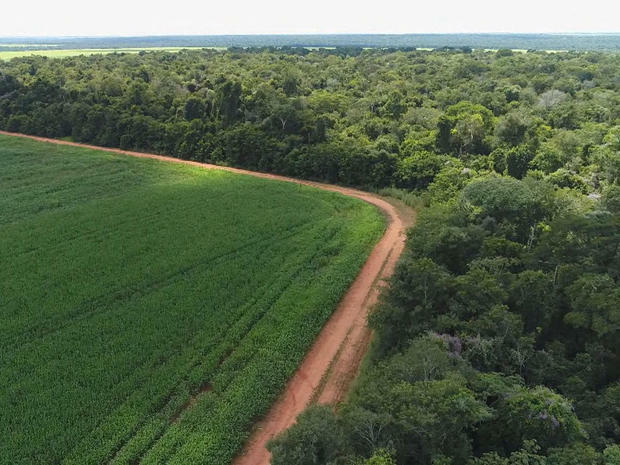 Tanguro Ranch, a 200,000-acre industrial farm in the remote Mato Grosso region of Brazil… the last line of civilization, and the frontline in the battle against deforestation. Mike Coe is a soldier in that battle: “This is a perfect laboratory to work. It’s a very large farm, it’s half-forest, and half-farmland, so we’re able to set up different experiments in both farmland and forest to see what the differences are.” …Since the rise of large-scale, industrial farming here in the past 50 years, scientists like Coe estimate that almost 20 percent of the original Amazon has been deforested – cut down to make way for agriculture. …The native communities in the Amazon have long been protected by the Brazilian government, but that, too, is threatening to change. Earth Day marks an international celebration of environmentalism. Canadians recognize this occasion. …Fortunately, and contrary to rhetoric from parts of the environmental movement, Canadians have much to celebrate this Earth Day. Consider the results from three recent studies on Canada’s environmental performance. The first study analyzes air quality… Across almost all measures, Canada’s performance has improved over the last four decades or so. Specifically, ambient levels of ground-level ozone, a key component of urban smog, decreased 27% from 1979 to 2015. …The second study looks at the state of freshwater resources… 90% of Canadian rivers had normal or above-normal water quantity while only 10% had lower-than-normal water quantity. …A recent study compared and ranked 33 high-income countries in the Organization for Economic Co-operation and Development… Canada ranked 10th with a score of 68.5 — well above the average (62.9) and only five points behind third place New Zealand. VANCOUVER – Canada and British Columbia are working together to take climate action and help Canadians access clean solutions that reduce pollution, create good jobs, and support healthy communities. Today, the Minister of Environment and Climate Change, Catherine McKenna, was joined by British Columbia’s Minister of Environment and Climate Change Strategy, George Heyman, to announce $140 million in federal support for British Columbia’s Forest Carbon Initiative and $10 million in funding for the new Organics Infrastructure Program. The Forest Carbon Initiative aims to reforest areas lost to forest fires across British Columbia and implement best practices that support healthy, resilient, and productive forests. The program will reduce emissions and sequester carbon while supporting jobs in rural communities. The U.S. Forest Service is working on the next step of its large-scale forest restoration plan, while the Arizona Corporation Commission considers using forest byproducts for energy production.The Arizona Corporation Commission has begun discussions to create a rule that would force Arizona Public Service to use items like branches, bark and small trees, also called biomass, to generate electricity.Meanwhile, Forest Restoration Initiative (4FRI) has been pushing has been working on its new Rim Country project area plan. The Rim Country project area would span the Coconino, Tonto and Apache forests southeast of Flagstaff and the first project area.Both actions could help attract private contractors to help with the thinning projects aimed at preventing disastrous wildfires. Prolonged drought, landscape-level bark beetle mortality and catastrophic wildfire have been increasing in frequency, extent and severity over the past few decades, and western forests will be increasingly stressed as temperatures rise and climate change effects intensify. Leading a team of scientists and forest managers, Sarah Bisbing, a forest ecology assistant professor and researcher from the University of Nevada, Reno, is building a Sierra Nevada-wide study, the Sierra Nevada Adaptive Management Experiment, known as AMEX, to identify alternative forest management treatments that will improve conifer forest resistance and resilience to climate change. Bisbing, a faculty member in the Department of Natural Resources and Environmental Science, received a $2.8 million grant from CAL FIRE’s Forest Health Grants Program to implement this large-scale, replicated experiment in collaboration with state and federal land management agencies. ATLANTA — Representatives of Georgia’s timber industry want its byproducts to help power the state. 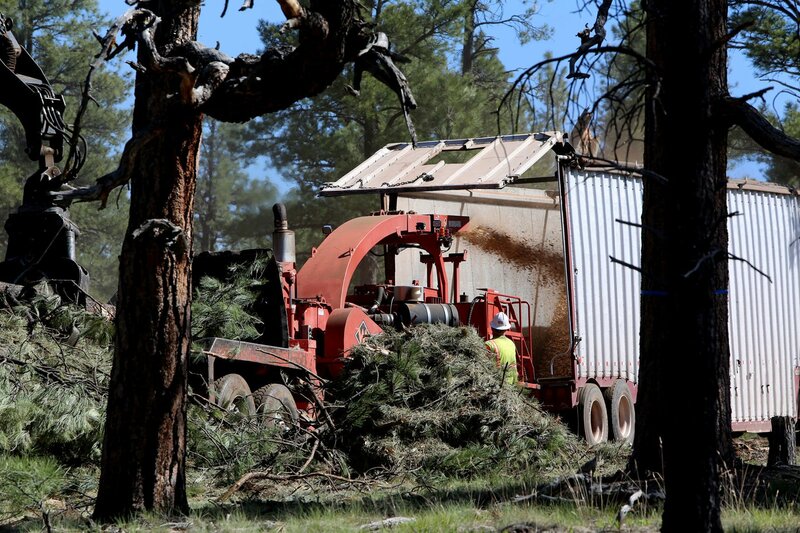 The plan involves branches and other scraps of wood — organic matter which could be turned into fuel, The Atlanta-Journal Constitution reported. Industry officials recently asked the Georgia Public Service Commission to take steps that would ensure “biomass” is more broadly used by Georgia Power. “We’ve got mountains and mountains of biomass,” said Clay Crosby, the chief executive of Twin Rivers Land and Timber in Perry. Some of it was left after storms such as Hurricane Michael, which carved its way across a million acres of timberland last year. Environmental groups have debated how clean the technology is.